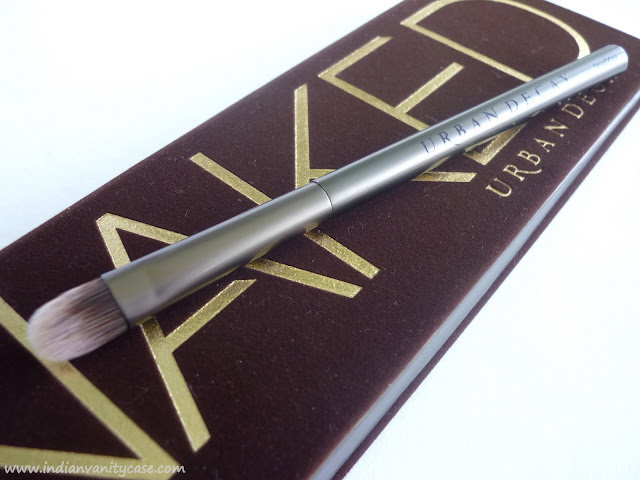 Indian Vanity Case: I Got NAKED!!! Let's pretend you heard that here first and clap. My grandmother would so disapprove of it, especially since it's a Sunday- a day to be pious. 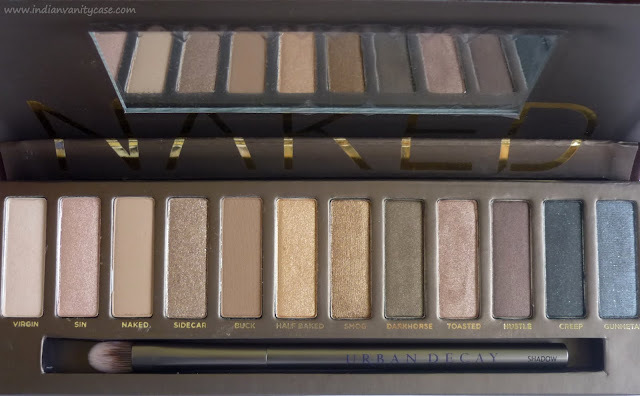 I don't blog on Sundays, coz I'm lazy not coz I'm pious *rolls eyes*, but there are exceptions- today it's the Urban Decay Naked Palette- always out of stock, always too expensive on Ebay.... Always. On. My. Mind. From my mind to my hands....after A YEAR of yearning! All thanks to the lovely Aparajita , who brought it from France. I still can't believe I have it in my house! I stroke it, stare at the eyeshadows, and sigh- before dinnertime & before going to bed. My husband thinks I'm nuts! congratulations cynthia! so glad to see you got it! very happy!!!! ohhh lovely shades...why dont we get such shades here in india??? Will probably ask someone to get it for me as well.. I think it's only $48 at Sephora and on UD's website :) so cool. I wana get all UD palettes now. So worth the money! Woww it looks gorgeous <3 Would love to see the swatches & EOTDs very soon!!! stroke,stare,sigh before goin to bed..lolzz..!! GOsh it looks as gorgeous every time iv seen it, and iv seen it about 50 times now!!! Lucky girlll!!! You are so cute dear! :3 I can understand your attachment to the palette. 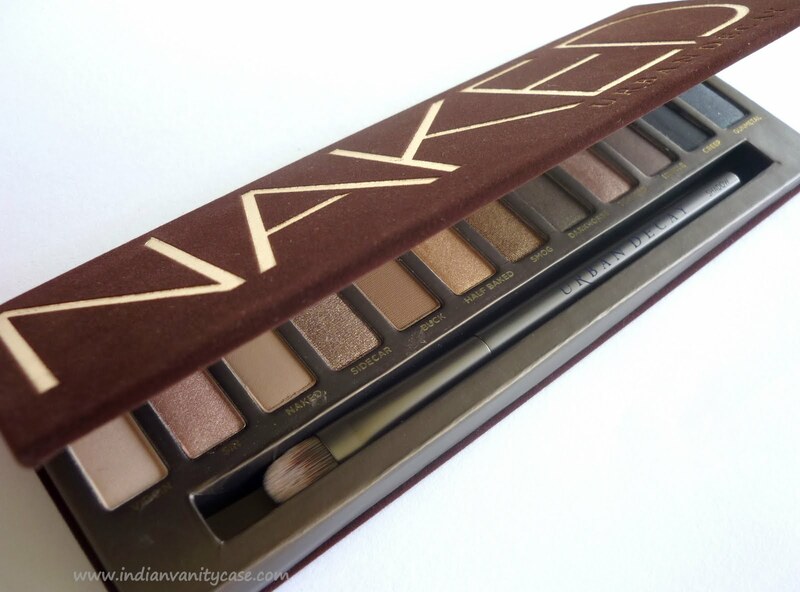 Will be looking forward to your EOTDs with the Naked palette. I hope to see lots of Make up looks from you using the palette. i gpt mine 3 months ago and I'm in love with it. It's amazing. Yay! I'm happy for you! Personally, I was not little underwhelmed because so many of the shades are shimmery. Can't wait to hear what you think! After being disappointed with the NYX equivalent, i've made up my mind to buy this as well. ; w ; They can be internet makeup blogger siblings. really really very nice shades....completely loved it.....enjoyyyy!!!! ki- I hope so too! IBC- lol...Jealousy Wakes is super gorgeous! From where can I buy it? I am from Hyderabad, India. I loved this palette but I am so confused....I am getting the 15th anniversary palette and then maybe after some months I will decide...Loved the neutral shades but wonder what is "blue" doing in that. Hi CZ.. Please do review and share the swatches,... Am loving this palette..